This plugin is an add-on to the WPML Multilingual CMS plugin from http://wpml.org. It is also an add-on to the WordPress MU Sitewide Tags Pages plugin from Donncha O Coimh. It will make it possible to have site-wide contents, search, tags and categories in multiple languages. This WordPress 3.0 multisite or WPMU plugin makes sure that all data replicated to a central aggregation blog by the WordPress MU Sitewide Tags Pages plugin keeps its language properties generated by the WPML Multilingual CMS plugin. 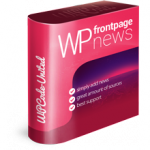 I am using WP 3.04 and WPML version 2.04. I tried to use YD Network Wide WPML Version 0.1.2 but this plugin does not let me to add static pages. I tried activate/deactivate your pugin a few times and this bug persists.